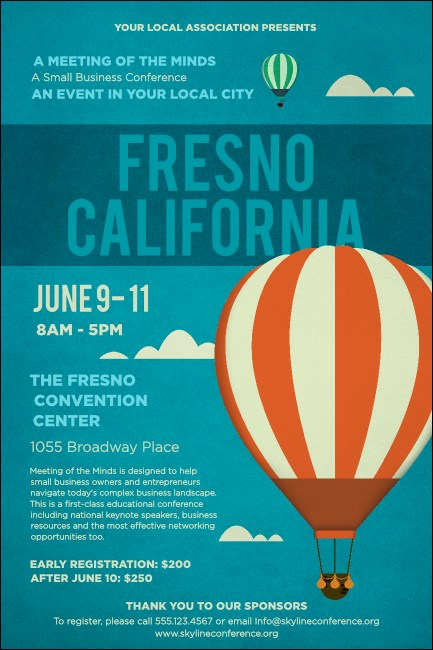 Maybe you heard it through the grapevine:Fresno is fabulous! Celebrate the city and its high flying culture with the Fresno Poster. Printed on high quality paper, this vibrant poster features a hot air balloon soaring above the city and helps you spread the word with twenty-four lines of your custom text. Enrich any event with custom collateral from TicketPrinting.com.